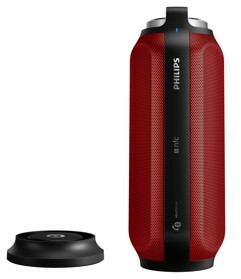 Philips wireless portable Bluetooth speaker BT6600 wins! 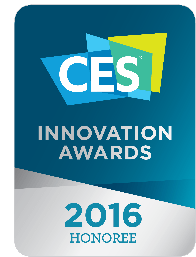 LAS VEGAS – January 6, 2016 <<Consumer Electronics Show>> – Gibson Brands is proud to announce that the Philips BT6600 Wireless Portable Speaker has been awarded with the CES 2016 Innovation Awards HONOREE in the Portable Media Players and Accessories product category. The CES Innovations Design and Engineering Awards is are an annual competition honoring outstanding design and engineering in consumer electronics products. Delivering sound experience and convenience unsurpassed in a compact size speaker, the BT6600 delivers spectacular 360o of high quality sound anywhere indoors or outdoors, rain or shine, and is available in a variety of colors. The exciting speaker features Bluetooth™ multi-pair technology that allows consumers to connect three smart devices at the same time. It also includes NFC, enabling easy Bluetooth pairing. Without the hassle of disconnecting and connecting a smart device to the speaker, this allows for simple tapping of an NFC-supported smartphone on the speaker, to quickly connect. The Philips Wireless Portable Speaker BT6600 allows music lover to play tunes loud and powerful. To deliver wide spatial 360o sound experience, a pair of speaker drivers and passive radiator is located at the front as well as at the rear. To give an added blast of bass and enhance sound quality, it also features two passive linear radiators and a digital sound processer. The BT6600 features a super long 12-hour battery life so users can play music all day. To recharge its built-in battery, consumers simply place the device in the by-pack charging dock. There’s no need to need to stop music, with the simultaneous charging and playback capability. The BT6600 portable Bluetooth speaker is now available.